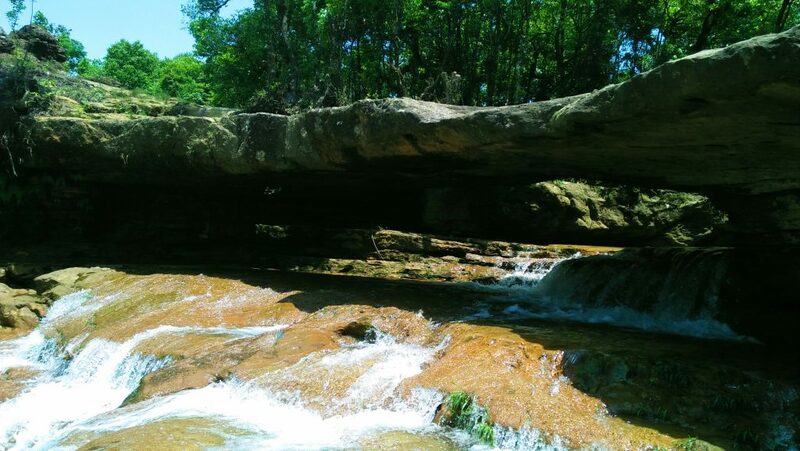 Moopun Waterfalls is situated at river Umjhai at Mutong village. It has 10 Km distance from the NH 44 junction at Kongong and 25 Kms equidistance from Jowai and Khliehriat. It is only 300 Meters away from the PWD road to the top of the Moopun Falls. From the vehicle parking the visitors will take only 5 minutes walk to the bottom of the Moopun Falls and 3 minutes walk to the Stone Bridge. Legend says that it has a connection with the magnificent Umhang Lake situated at Bataw village at a distance of 30 Kms from the district Headquarter. The “Kyllang Le Iaw” (Water Goddess) travels to Moopun Falls from Umhang lake and there she took bath and rest for upto three days and three nights and continues her journey further. The Waterfalls has scenic surroundings of lush green forest and the endangered pitcher plant with ideal picnic spot around. The scintillating Moopun Falls touches the crystal water on the beach at the bottom from a height of 110 feet and a 50 feet width and calmly flows down to the famous Myntdu river in Jaintia Hills. An attractive feature of this tourist destination is the famous rare Pitcher Plants uniquely and beautifully growing in the middle of the rock of Moopun Falls. 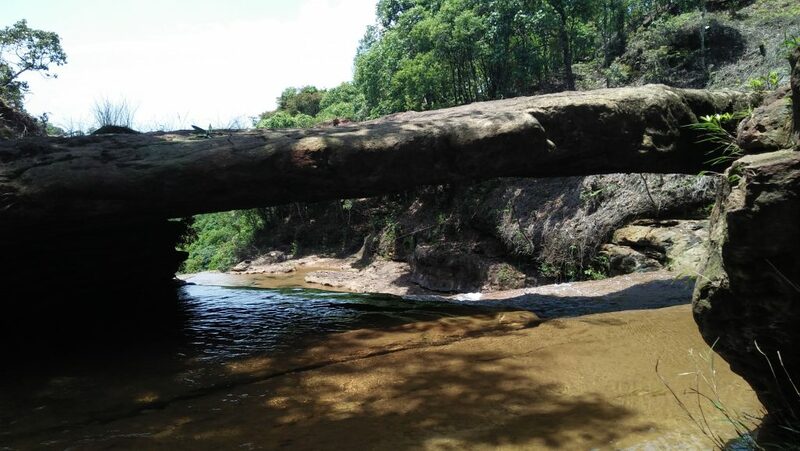 The mesmerising Moopun Falls is well connected with a black topped rural road from the NH 44 (Kongong Junction) via Pynthorsale and Mukhaialong. It is one of the hot spot tourist destinations for recreational and re-energising activities from hectic lifestyle of modern society. 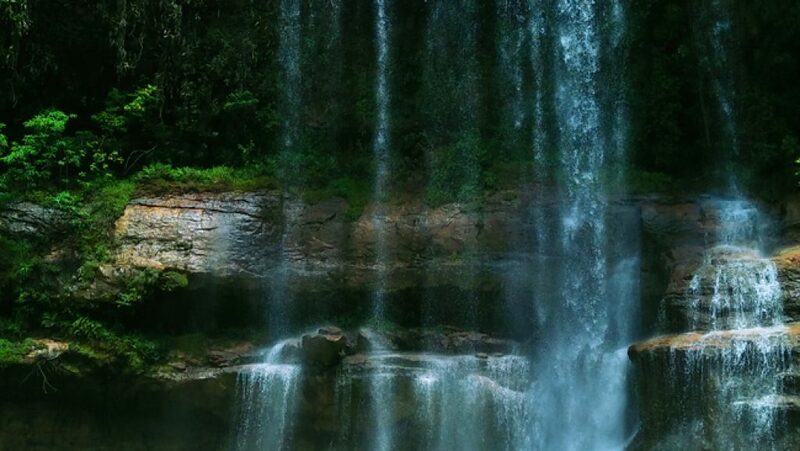 One can experience the breath taking beauty of Moopun Falls and make memories lives on. On top of the Moopun Waterfalls lies the iconic and magical Stone Bridge connecting both sides of the Umjhai river. The word Moopun dictate as “Moo” means stone and “Pun” means connect. It literally means Stone Bridge. The Moopun has a length of 33 Feet; 11 Feet width and a height of 8 Feet from the water level. Below the Stone Bridge the water drops down from a height of 20 Feet to form a Natural Swimming Pool. This beautiful and spectacular swimming pool is 75 feet length and 50 feet width. It is one of the perfect natural swimming pools to cool down and re-create oneself with nature. Another attractive site is the “Dem Khla” a distance of 500 Metres from the Moopun Falls towards the Myntdu river. Literally “Dem” means rest and “Khla” means tiger. Therefore it is called the tiger resting place. Indeed one can experience the breath taking scenic beauty and landscape of the river Myntdu. Best time to visit this tourist destination is winter season whereas visitors and travellers can visit all other seasons too. One can book taxis from Khliehriat which is the head quarter of East Jaintia Hills District to Mutong village.It has 10 Km distance from the NH 44 junction at Kongong and 25 Kms equidistant from Jowai and Khliehriat. It is only 300 m away from the PWD road to the top of the Moopun Falls. From the vehicle parking the visitors will take only 5 minutes walk to the bottom of the Moopun Falls and 3 minutes walk to the Stone Bridge.